The concentration of snail slime along with the aloe vera, make this cream an exceptional ally to combat the signs of aging. It is an oil-free cream gel that prevents wrinkling and skin aging. Ideal for combined and oily skin. Sunscreen: it provides a safe and ideal protection. 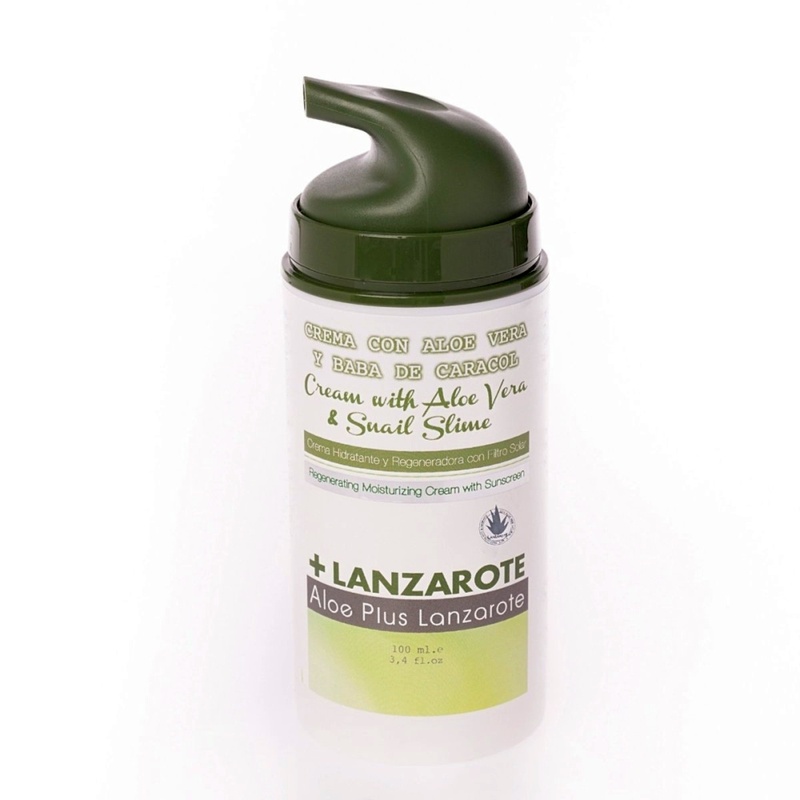 - Allantoin which facilitates rapid regeneration of the skin. - Vitamins A, C, E and some of the group B. - Alpha-hydroxy acids such as glycolic, lactic, citric and malic acid. - Mucopolysaccharides with high moisturizing power that gives the snail slime slippery and lubricant touch. Apply in the morning on clean face before makeup, and at night after cleansing the face. It can be applied 3-4 times daily. Aloe vera gift pack of products indicated for hydration and skin care.